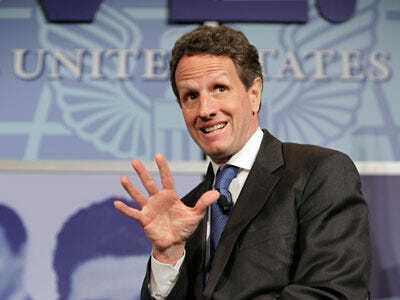 Last night we were a bit hopeful that Tim Geithner might actually agitate for some serious reform of Fannie Mae (FNM) and Freddie Mac (FRE), the GSEs that played an instrumental role in the housing crisis, and whose ghosts continue to live on in the public market, as an appendage to their debt. His testimony (going on right now) is interesting enough, but he basically sees no alternative to the government propping up the housing market, and guaranteeing all their debt. Even the process of eliminating the casino aspect (their public share) is unclear, though at least he does want to get rid of that system. Our guess is that these phantom companies will hang around for a while.